Russia introduced an anti-terror law back then in 2016 which mandated all messaging services in the country to provide the authorities with the means to decrypt messages. Telegram has however missed the April 4th deadline it was given by the Russian authority to hand over encryption keys used to scramble messages as the company claims that the way the service was built gives it no access to customer's encryption keys. 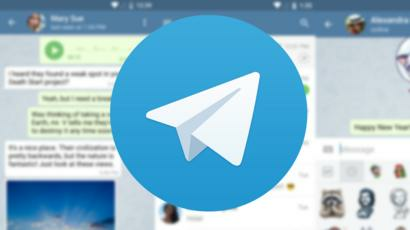 A court in Moscow has therefore approved a request from the Russian media regulator Roskomnadzor, for the immediate country-wide block of the Telegram messaging App. In its court filing, media regulator Roskomnadzor said Telegram had failed to comply with its legal requirements as a "distributor of information". The Russia's FSB which is the country's main security agency has said that the Telegram app is the preferred messaging platform for "international terrorist organisation in Russia". According to FSB, the suicide bomber who killed 15 people on a subway train in St Petersburg last April used the app as a means of communication with his accomplices. Telegram is widely used in Russia and the middle East as a whole and even Reuters news agency reports that the App is widely used by the Russian authority due to its emphasis on encryption. Telegram will however appeal the decision of the court over the next month.